The course aims to prepare the industrial PhD students to understand and embrace the responsibility to create a business impact through their PhD research, to skillfully navigate between business and academia, and to ensure value creation. The Industrial PhD Programme aims at increasing knowledge sharing between universities and private-sector companies, promoting research with commercial perspectives, and taking advantage of competences and research facilities in private business to increase the number of PhDs. This course is a first step on this journey. 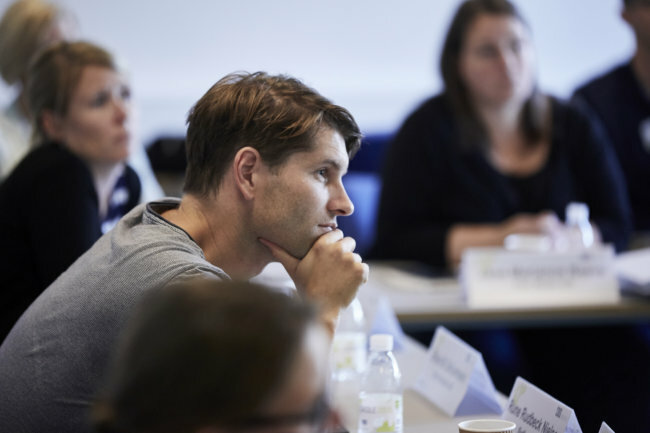 The course focuses on creating and strengthening a shared understanding of the Industrial PhD scheme as a unique example of collaborative research practice in both Danish and international contexts, which clearly addresses the need for and the benefit of research gaining momentum and impact in practice—in the hosting company, the academic world, and society. The vision for this course is, therefore, to consolidate and strengthen the brand value of the industrial PhD scheme and applied research both nationally and internationally by combining a classical PhD education with competencies to create and demonstrate the impact of research in practice. contribute to business-oriented innovation and entrepreneurship in Denmark. The course is compulsory for all industrial PhD students, obtaining funds from the Innovation Fund. The course will be carried out using a blended learning teaching style, where teaching is delivered through traditional classroom teaching, online learning, reflection exercises, feedback, peer-grading, and networking activities. The classroom teaching includes 1.5-day introductory module, 1.5-day elective modules, and 1-day closing module. The detailed descriptions of teaching for each module are included below. Typically, teaching is conducted as a flipped classroom, where class teaching focuses on activities with a specific learning point in being together, while individual preparation and information sharing takes place online. The classes will be conducted in the workshop style with exercises, cases, and opportunities for students to work on concrete tools they could use later in their projects. Off-cite modules offer additional opportunities for interaction, dialogue, and networking. Feedback meetings with supervisors (both university and business) are integrated in the course design. Experience shows that the three parties (i.e., the company, the student, and the university counselor) do not meet regularly during the PhD project, and many consider the cooperation to be unsatisfactory. This is very problematic, as close relationships between these three stakeholders are one of the primary success criteria for the successful implementation of an Industrial PhD. During the course, feedback meetings shall take place twice: (1) after module 1 but prior module 2, and (2) after module 2 but prior module 3. Peer grading: There is evidence that peer assessment enables students to learn from each other’s successes and weaknesses. The ability to access one another’s work objectively is clearly an important skill. Also, this will support group and collaborative learning so that students are given the opportunity to create professional and social relationships with other peers. The evaluation will be done online using tools available through the online platform CBS Learn. The Industrial PhD students will be organized in relevant thematic as well as interdisciplinary groups. Network events: The importance of building strong networks will be emphasized throughout the process. However, there will be two events with the following specific topics: “Speed Dating on Ideas” in Module 1 and “Pitch Your PhD” in the evening of elective modules. In addition, the PhD students will be invited to join the networks organized afterward, including a mentoring system with the course alumni. Course participation is assessed as passed/not passed. 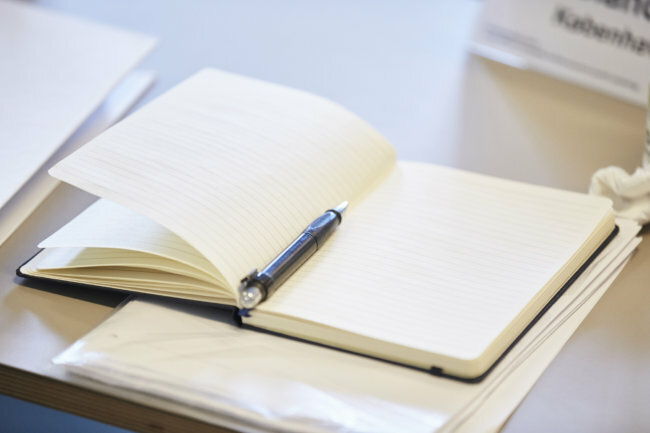 The evaluation is ongoing and assessed by the evaluation of students’ participation in all course activities, that is, through 1) active participation in the activities carried out in and between classroom education, 2) submission of all the study products and online activities defined for each module, and (3) completion of the feedback cycle. Assessment is an integral part of the course progress and pedagogy. It is not only a necessary final formality but also focuses on value-creating learning activities that are directly transferable to the student’s practice along the way.